WE STRIVE TO IMPROVE OUR PRACTICES. In the US and Europe there is a long history of research into sustainable management of natural forests, innovation of wood products, and markets for well-managed forests. In most tropical forest nations, including Ecuador, there has been no comparable research focusing on sustainable forestry or commercializing the majority of native tree species. Learn more about our collaborative partnerships. Experimenting with over 50 wood species helps us determine how they can be used in multiple species products. Key tests include: contraction and expansion rates, density, hardness, response to machining, response to different types of glue, and their behavior with stains and distressing. We work to define strategies that prevent building new roads into the forest, and maximize the milling yield from each tree. We transport portable sawmills into the forest, and mill the lumber into cants and boards. Then we transport the sawn lumber on small diameter cables 6 to 8 kilometers to the nearest road. We're working on the pre-certification steps to gain FSC certification through Rainforest Alliance’s Smartwood Bolivia office. We plan to complete full forest certification in 2018. The next step will be to gain chain of custody certification for our wood products. Over time we’ve learned how to dry dozens of wood species down to the 6 to 8 percent moisture content required for US markets. We have also learned how to remove all tension in the wood, to eliminate cupping, twisting, and splitting as the wood equilibrates to the US humidity conditions. In collaboration with researchers at Tulane University and the University of Sussex, we’re working to monitor the impacts of our forestry activities on the quality of habitat for birds, amphibians, and primates. We are especially committed to modifying our forestry practices to protect the habitat of the globally critically endangered coastal spider monkey, Ateles Fusciceps. The watershed we are conserving and managing is some of the spider monkey’s best remaining habitat. 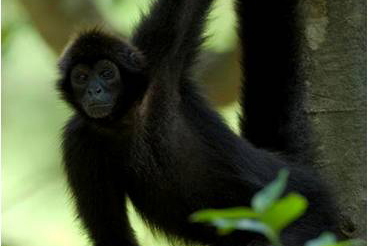 Whole Forest is working with a primate ecologist to protect the spider monkey’s critical food resources and the canopy connectivity it needs to move through the forest. Our Ecuadorian operating company has worked under a public-private partnership with the Ecuadorian Ministry of Environment since 2013 to manage a pilot project in community forestry with the goal of slowing deforestation. The Ministry recently gained UN approval for its REDD+ Action Plan, and received a large grant from the UN Green Climate Fund to support the implementation of this plan. We’re currently being qualified by the Ministry as a formal implementer of the REDD+ Action Plan. We've developed a very limited timber harvest strategy. In each forest management area, roughly 35% to 40% of the forest will receive no timber harvest. On the remainder, we will harvest from 5 to 8 trees per hectare, or 15 to 20 cubic meters per hectare (2 to 3.5 trees per acre). There will be no further timber harvest for at least 20 years. Under this limited harvest strategy the majority of the trees are untouched, and there is ample time for a full recovery of the forest canopy and habitat structure of the forest. Our foresters manage permanent research parcels. They have identified over 300 tree species and studied their growth rates and natural regeneration. The ecological response to different levels of timber harvest is also measured. WE BELIEVE COLLABORATION ENSURES LONGEVITY. 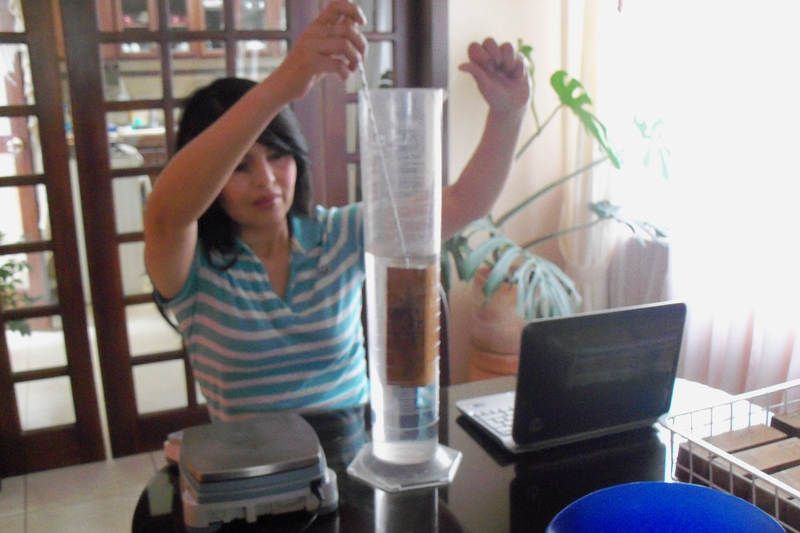 Since 2002, we've been conducting studies in order to improve our innovative practices. This ensures the lasting health of the forest and all that inhabits it. The following organizations have openly cooperated with us to research everything from nutrients in the soil to spider monkey habitats in the canopy.